Last year, the Moscow City Military Prosecutor’s Office sent over 170 lawsuits to the courts, for which the state was compensated for the damage of 200 million rubles. The military prosecutor of the 4th division of the Moscow military prosecutor’s office, Sergei Vosorov, told MK about who and how most often got into the state’s pocket. – How are violations revealed when disposing of federal property, facts of embezzlement of property and illegal spending of budget funds? -Facts of unlawful transfer to third parties, registration of fictitious transactions for disposing of property without holding competitive procedures and the consent of the authorized owner can not hide, they remain. As the facts of financial irregularities. For example, the inspection conducted by the 231st military prosecutor’s office of the garrison, in the actions of the head of one of the Spetsstroy divisions of Russia, revealed facts of transferring over 24 million rubles to the contractor as payment for fictitious repairs of military facilities. -According to the revealed fact, a criminal case was initiated, and already within its framework, the military prosecutor’s office of the garrison filed a lawsuit to recover the entire amount from the guilty official. Moscow’s Khoroshevsky Court fully satisfied him. As a rule, in all criminal cases initiated by the military prosecutors in this field, comprehensive measures are taken to protect the property interests of the state, both in the criminal procedure and in the civil law procedure. – What property violations of the law are most often revealed in the actions of legal entities and individual entrepreneurs? -The most common facts of alienation and use of non-residential facilities of the Armed Forces in the absence of legal authority, properly executed documents and coordination of regulatory bodies. -How can in such cases return to the state what belongs to it by right? – Military prosecutors bring to the courts claims for the application of the consequences of void transactions. For example, the Moscow City Military Prosecutor’s Office revealed the fact of wrongful seizure of Tire Hotel LLC by a land plot in Moscow at 38 Khoroshevskoye Highway, which was intended for use in the interests of the defense and security of the state. By the Moscow Arbitration Court, upon the request of the Moscow military prosecutor’s office, the lease agreement for this land plot was declared invalid due to its insignificance. -What is the general situation with the consideration of appeals by military prosecutors in arbitration courts? – There is a positive trend – an increase by an average of 20% in the effectiveness of arbitration courts reviewing claims of military prosecutors of the Moscow City Military Prosecutor’s Office. 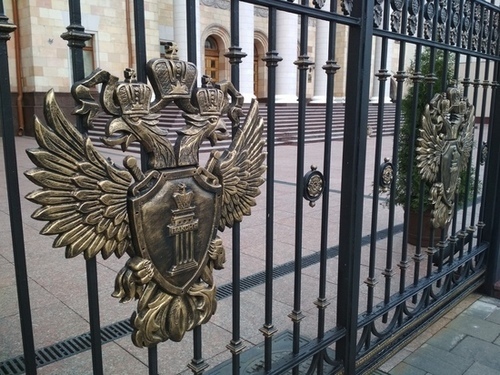 Only on the facts of alienation and use of non-residential facilities of the Armed Forces, last year, 53 legal entities and individual entrepreneurs were brought to administrative responsibility by decisions of the Moscow Arbitration Court at the initiative of military prosecutors. They were fined in the amount of 20 thousand rubles to 500 thousand. The total amount of penalties amounted to more than 2.8 million rubles. – Is there a similar situation in the Moscow region arbitration? “The powers to protect the objects of federal property are no less effectively implemented. For example, the Arbitration Court of the Moscow Region satisfied the vindication claim of the Moscow military prosecutor’s office – on the reclamation of the building from illegal alien possession of the building in which the department of the military registration and enlistment office of the Moscow region for Balashikha and Reutov is located. The state returned the property with an area of ​​more than 2 thousand square meters. – It happens that the violator of the law was convicted, but the court did not impose a penalty on him. Can I fix this? – Prosecutors are taking measures to recover unjust enrichment from convicted persons. For example, the Moscow City Military Prosecutor presented to the Valuisky District Court of the Belgorod Region a claim for recovery from the former military commissar of the Moscow Region into the state’s income of 140,000 rubles, received by him in the form of a bribe for the unlawful release of a citizen from military service. The requirements of the military prosecutor are satisfied in full. – In the area of ​​protection of intellectual rights, are you able to defend state interests? -Yes. For example, the Moscow Arbitration Court satisfied the application of the Moscow military prosecutor’s office to liquidate the LLC “Insulation Technologies”. For the construction of a naval port in the city of Severomorsk, the company has supplied counterfeit steel pipes as part of a state contract. The state was damaged in excess of 7 million rubles.